Asparagus Mushroom Quinoa - "So, I've been thinking..."
I believe my words were â€œIâ€™m writing three posts this week if I have to blog about my lunch tomorrow.â€ Well, lucky for everyone Iâ€™m not posting a recipe for a toasted ham & cheese sandwich. It was delicious but not especially noteworthy. Fortunately, for me, and hopefully you, I re-created this asparagus mushroom quinoa dish for dinner and it was really good and super simple and worthy of a share. I say recreated because a friend made something similar recently and I couldnâ€™t remember exactly what was in it except asparagus, mushroom, quinoa and soy sauce. So here is my version and it got a â€œcan I bring this to school for lunch tomorrow?â€ so itâ€™s pretty kid-friendly, too. Iâ€™ve mentioned it before but it bears repeating: Iâ€™m not an â€œexactâ€ cook, meaning I cook the quinoa according to the directions but pretty much everything else I play around with. I would suggest you do the same â€“ if you donâ€™t like asparagus try something different (broccoli, fresh green beans, cauliflower, carrots or all of them) and if itâ€™s too dry add more olive oil or either sauce. In the recipe I put what my minimum measurement would be and this dish wonâ€™t be horrible if you add more of something than Iâ€™ve listed here. Itâ€™s going to be your meal, enjoy it! Make the quinoa while you are prepping the veggies and this dish will come together quickly. I did forget the scallions and it wasnâ€™t a big deal. I added chopped cilantro to my serving and it was great. Iâ€™ll admit the quinoa sounds like a process â€“ itâ€™s the description of what I do that makes it seem that way. You can cook the quinoa any way you want but this way makes it light, crunchy and itâ€™s not at all sticky so try it, itâ€™s worth it. And itâ€™s way easier than it sounds. Iâ€™d love to have your feedback. Do you love quinoa? Whatâ€™s your favorite recipe? 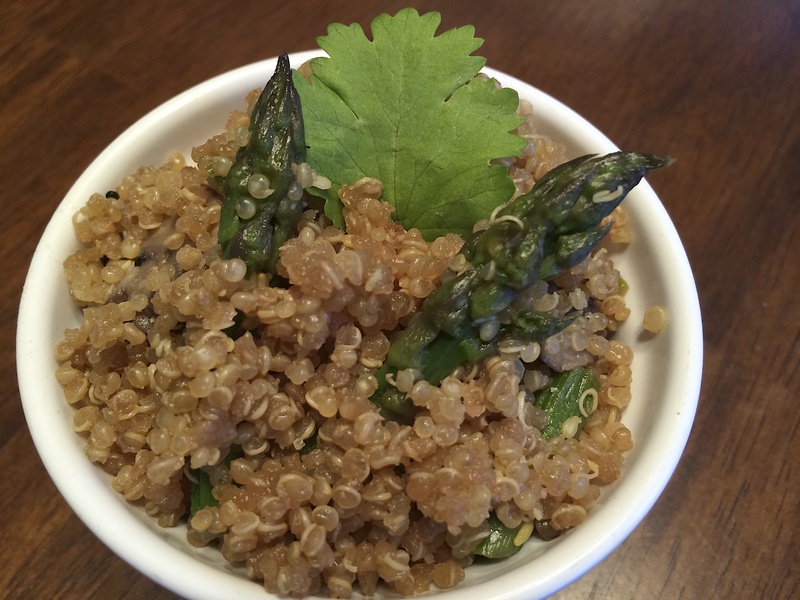 If you try this asparagus mushroom quinoa please come back and let me know what you think! Thanks for taking time out of your day and stopping by â€œSo, Iâ€™ve Been Thinkingâ€¦â€ I appreciate it! Thanks Janine! I did link it upâ€¦I get an email about it but I’m way, way down the list, I didn’t finish until this AM. Oh, you should definitely try it. It tastes like hibachi rice which is probably why my kids liked it, Greg makes that rice all the time but this is way better for you. Quinoa has a crazy texture, if you can get past it you should love it! Let me know how it turns out. I’m happy to read about what people are eating for lunch. Often, it leads to me actually finding recipes I can use! My kids don’t like mushrooms either, I just told them to pick them out. I’m nice like that! 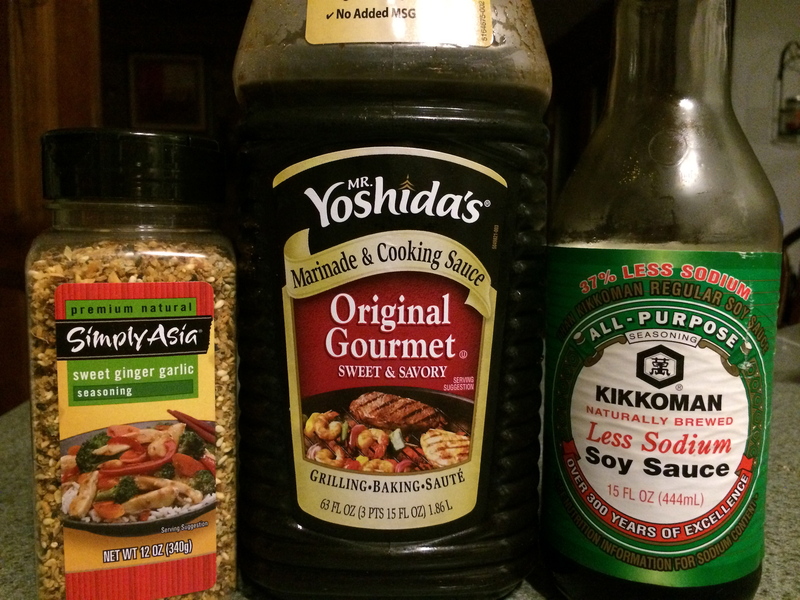 You could add pretty much anything you’d add to a stir fry and it would be great. I love finding easy things that I may actually take the time to make! Thanks so much for sharing (and nothing wrong with ham and cheese!). I’ll admit, the ham & cheese only took minutes but the veggies were done about the same time as the quinoa so 30 min for the dish isn’t bad. I’ve cooked quinoa by just boiling and wasn’t crazy about how mushy it got. These directions I got from another recipe and I’ve never looked back, never mushy and the texture is great, I do always rinse it first though, I think that can be important. I hope you like it! I’ve tried to make quinoa three times now and I just can’t get it right. It’s a great substitute for rice and I hope to master it soon. I’ve never been a huge quinoa fan but I’m willing to give it another try. 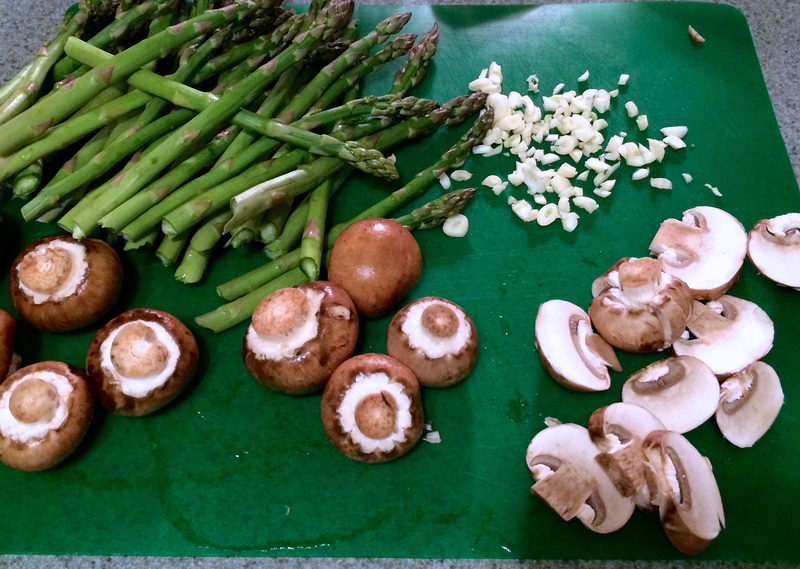 I love asparagus and mushrooms…it looks really good!! Plus you have never steered me wrong on a recipe! Can you believe that I have never made quinoa. This recipe looks good! I’m going to give it a try! I can. So many people have never tried it or had it overcooked, I’m trying to spread the word about how good it can be when it’s cooked properly. I like the idea of putting the towel over the pot. I have to try that next time I make quinoa. It probably keeps it from getting dry. Quinoa is so good for you. I love it! I always love quinoa when other people make it….. I hope this could be my first quinoa success! I will let you know…….